Adrien Brody isn't kidding himself — he knows that when people hear his name, "action hero" isn't the first description that comes to mind. "The comment is constantly like ‘skinny actor.' I'm thin. I'm not skinny at all," said Brody, 37, seeming slightly irritated as he reclined poolside at a Los Angeles hotel last month. "It's that they harp on a physical thing, because I don't think there's a question about my ability as an actor." He certainly has the hardware to back up that claim. It was nearly a decade ago that he bounded onstage at the Kodak Theatre, kissing actress Halle Berry before accepting a gold statue for his portrayal of a Jewish-Polish musician in Roman Polanski's holocaust drama The Pianist, making him the youngest lead actor winner in Oscar history. But for many, it's been difficult to shake the image of Brody's gaunt face in the affecting role, for which he famously lost 30 pounds (13 kilograms). "A lot of people think I'm a European actor. It's interesting, and it's a compliment, in a way ...," he said of his role as Wladyslaw Szpilman. "But it's not representative of who I am, or what I'm able to do." Audiences will certainly see a different side of the actor with the release of Predators, Robert Rodriguez's reboot of the 1987 sci-fi classic about a group of CIA-hired commandos — including a beefy Arnold Schwarzenegger — who realise they are being hunted by an alien predator while on a mission in a Central American jungle. In the new film, Brody plays an amoral mercenary who leads a group of assassins through the inhospitable landscape of an alien planet, where they have been planted to exterminate a menacing breed of alien species. For Brody, it was a part that was hard-won. "It's a role that a studio wouldn't necessarily have me on a list for. And I had to kind of do some convincing, that I'm capable of physical transformation," Brody said. "It was a very challenging thing for me to embark on. I think that fans have expectations if you're going to reboot a series like that — so there's a certain amount of risk that inspires me. It's very different from something I've done before." Since The Pianist, Brody has tackled a variety of roles — including the romantic lead in Peter Jackson's big budget remake of King Kong and quirkier parts in less expensive films, such as Wes Anderson's The Darjeeling Limited and The Brothers Bloom, a comedy about con men. Most recently, he voiced an animated character in Fantastic Mr. Fox and starred opposite Sarah Polley in the creepy thriller Splice. Rodriguez, who produced Predators (which was directed by Nimrod Antal), thought Brody was right for the movie. But he initially presented the actor with a smaller role, which Brody protested, saying he'd like to play the lead character and promising he could change his physique. "He has so much passion that you're doing yourself a disservice not to hire an Oscar-winning actor who wants to do a movie this badly," said Rodriguez. "We looked at the actor list, and a lot of it is the actors you've seen do those roles so many times. But Adrien is doing something very fresh and different — it feels like you've just discovered some new action hero, yet he has the acting talent that you don't get in these type of movies." Meanwhile, Predators costar Laurence Fishburne — who plays a hermit found living on the planet — dismissed the idea that to some, Brody is an unlikely action hero. "I'm not even going to ... dignify that with an answer. I just can't," he said. "Adrien Brody is a really terrific actor. He has range. He has intelligence." Still, even Brody believes that without having won an Oscar, he wouldn't have gotten the part. "I would never have been given the shot — ever — if I didn't have that under my belt, because they definitely wouldn't hire skinny actor Adrien Brody without that," he said. But after a month-long process of securing the faith of studio executives, Brody finally did land the Predators lead and had to begin a rapid physical transformation to gain 11 kilograms. His flannel shirt fell loosely onto his frame, and it appeared that he had since shed much of the muscle mass he gained for the film. Yet there was more to his extreme preparation than just physical work. While filming in Hawaii, he entered a self-imposed isolation, opting to stay in a remote bungalow on the acres of private rainforest where the movie was shot, instead of in a hotel with the rest of the cast. "I would sleep in the jungle alone," he said. "It was just like one damp room with screen doors and a cacophony of sounds and insects and wild boar and all kind of stuff going on outdoors," he said. In the early morning, he'd sit by the ocean, meditating and reading Buddhist teachings or military training manuals to get into the mind-set of his character, a former soldier. Certainly, to some, his obsessive preparation might seem fanatical, but others see the method in his madness, like Vincenzo Natali, who directed Brody as a geneticist in Splice. "He's a very serious guy," recognised Natali. "When we were shooting in the winter outside in very cold temperatures, to make his character realistically feel like he was going through hypothermia, he rolled around through the snow so he was physically frozen. I didn't ask him to do that. That's just something he did because he wants it to be real, and I like that." Brody says going to extreme measures is a necessity — something he must undergo so he's required to do less acting on-set. "To convey an emotional state, you have to do the work to get to that state, and have some semblance of an understanding and empathy for the character," he said, pausing repeatedly as if to emphasise the seriousness of his intent. "If you haven't had the life experiences along the way, if you haven't done the research, you're just acting. You're showing what you think it would be like, and that's wrong. It's just wrong." It's that dedication to his craft that makes Brody a true performer, believes Natali. "He's like a classic type of actor; the type of actor we used to have 30 years ago, like a Robert Redford or a Robert De Niro," said the director. "I don't know if Adrien wants to be an action star. I suspect what he wants is to reach a really broad audience. He doesn't just want to do Sundance-type, critically lauded movies." Next, he'll star in the spy thriller The Experiment and the Woody Allen film Midnight in Paris. And Brody says it is his intention to keep surprising everyone — even himself. "When I saw this movie, I couldn't believe how much I loved the movie, and I kept saying to myself, ‘Oh my God, I'm in this.' It's different — it's something I haven't seen of myself." 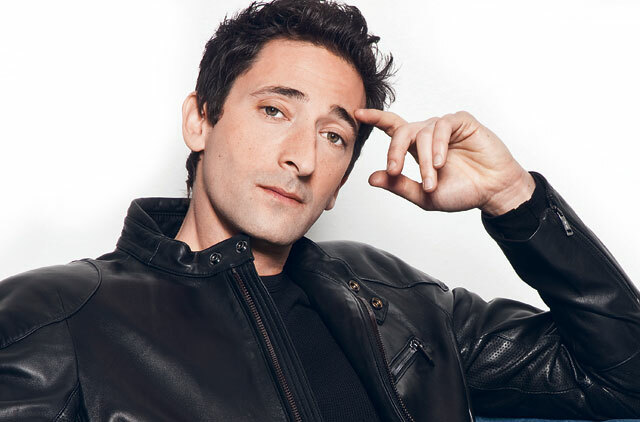 Adrien Brody ate six meals a day: lean complex carbohydrates and proteins, supplements, shakes, oatmeal. He trained with heavy weights and abstained from indulging in alcohol and sugar. When he unveiled his new physique to the filmmakers, Brody recalled, they were surprised. "When I was training, I wasn't really showing off the progress, and at the end, I think I scared them because I had grown a lot and they were all pretty shocked at how I looked," he said, glancing down at his body.